Maurer argues that our brains hate change and, in fact, feel threatened by it. Setting big audacious goals can block rather than pave the way to good habits. On the other hand, making a small commitment to change turns off the brain’s fight-or-flight response and lowers resistance. 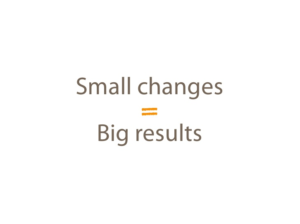 Repeatedly taking smalls steps toward change creates new connections between neurons to support the new habit. It also builds confidence. So, try flossing a single tooth before bed. Do one push up. Rather than meditating daily for 30 minutes or more, do so for a minute. After a week, see if you can increase it by a minute more or meditate a minute several times a day. Even a few minutes of silence and solitude (see below) can be mind altering. Or Arianna Huffington’s interview with Tim Ferriss. https://tim.blog/2017/10/18/arianna-huffington/ After collapsing from exhaustion, Huffington retooled her life and founded Thrive Global, a company dedicated to health and wellness information. “I’m a big believer in micro-steps,” she tells Ferriss. 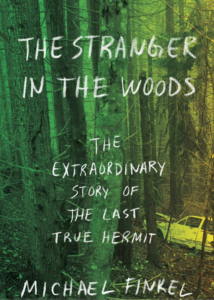 Michael Finkel’s page-turning book about Knight; “The Stranger in the Woods: The Extraordinary Story of the Last True Hermit,” is a fascinating peak into the mind and the odd life of a man who feels more comfortable alone than with people. But it’s also a thought-provoking reflection on solitude. 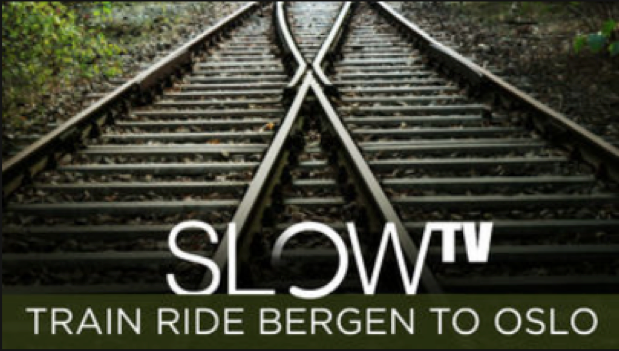 Norwegian television embarked on an odd experiment several years ago when it aired a seven-and-a-half hour-long program showing a train traveling across the country from Bergen to Oslo. That’s it – just footage from the train. I could offer a number of theories as to why slow T.V. is a hit. Watching beautiful scenery even if it’s on a television screen provides a hypnotic oasis of calm in an otherwise frenzied world. I suppose, though less understandably, so does knitting. But I have another theory. Something magical happens when you embrace things that on the surface are patently boring. You stumble upon contentment. Underneath the presumed monotony of life’s less exciting moments lies that subtle yet often sought after feeling of ease. It’s the sand at the bottom of the ocean. It’s always there. But it’s hard to see when we’re thrashing in the surf. Author Elizabeth Gilbert has said that everything interesting and meaningful in life is also boring. Marriage? About 90% of it is boring. Work? A snooze. Parenting? Booorrring! The earnest acknowledgement that most of life falls solidly between the lines of ecstasy and misery is not only freeing but gratifying. Without the anvil of expectation weighing you down, you can settle in a bit more and enjoy the ride. Your capacity to become interested and even fascinated with the banal moments of life expands. Slowly, but steadily the experience of so-called boredom becomes not only tolerable but at times a welcome friend. Next time you feel fidgety because nothing is happening, don’t reach for the cell phone. Don’t open the fridge looking for edible entertainment. Stay with the boredom for a while and see what lies underneath. It may or may not be contentment – at least not at first. Petty frustration. Anger. Sadness. Who knows what you’ll find as you sink to the bottom of your experience. Getting to know boredom is a mindfulness practice. It takes time for the modern brain to winnow its addiction to stimuli. But the more you embrace the subtleties of a “neutral” moment, the more you’ll feel at home in your own skin. You might even find yourself tuning into Norwegian slow T.V. All of which can now be streamed on Netflix under Slow T.V. Perhaps, not surprisingly, for a book about attention Mathew Crawford’s The World Beyond Your Head: On Becoming an Individual in an Age of Distraction requires the focus of a watchmaker to read and fully grasp. But once grasped the philosopher’s indictment of the societal weakening of one of our most intimate faculties – our ability to pay attention – should give us all pause. 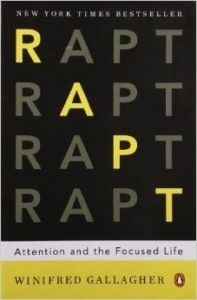 Crawford’s searing prose details the many costs of our fractured attention. Not the least of which is the slow drip of disconnection we feel from each other. In other words, next time you walk down the street smile and even say hello to those you meet. 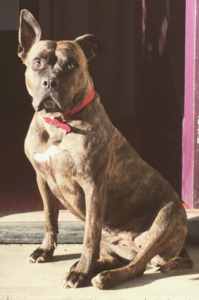 She’s a 70-pound pit bull with a heart of gold who can teach us a lot about mindfulness practice. My friend got Lulu from the pound. Like any good dog owner, once she got her home she began to train her. Not long ago, we all took a walk and I saw Lulu’s training in action. A few moments into our stroll, Lulu got distracted by a piece of trash and veered off course. “Leave it, Lulu,” my friend gently commanded and her muscle-bound pit bull fell in line. When Lulu got distracted by an invisible smell, a runner’s shoelace or a breeze (she is a dog after all) my friend’s refrain – “Leave it, Lulu” – guided her back on course. Next time your mind gets stuck in a stream of unproductive or destructive thought, notice your thinking. Stay with it briefly and even notice how it feels in your body. But, then, instead of following the twisted path of thinking any farther, remember Lulu. Kindly say to yourself: “Leave it.” And come back to something that’s happening in the here and now – your breath, a sound or the feeling of your feet on the ground. This sort of brain training during meditation or daily life is highly practical. If practiced often, you’ll find that you can more readily drop that gripping worry about your work presentation, your kid’s failing math grade or your retirement nest egg. Like Lulu, you might have to tell yourself to “Leave It” over and over again. It’s an ongoing process. But it’s led to an incredibly sweet and happy dog. Imagine what it could do for you. What’s the key to productivity? To a satisfying life? Legions of books have been written on both subjects. But the answer might lie in a single word: Attention. Both Cal Newport and Winifred Gallagher make compelling cases for how the ability to command attention is central to doing meaningful work and leading fulfilled lives. 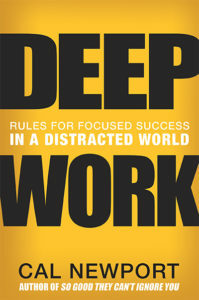 From Newport’s perspective, the ability to do “deep work” or to engage in activities with “distraction-free concentration” is a 21st century skill that can set you apart because it’s increasingly rare. 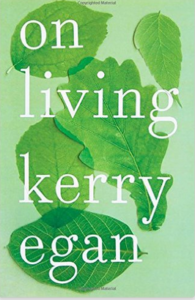 For Gallager, attention is more lyrical and sublime, but no less meaningful. • Watch this for a playful, yet profound answer to the question: Why practice mindfulness? • Tired of paying attention to your breath during meditation. Try paying attention to the sounds of a forest. • I’d love to spend a day in a timber megaphone.